Kurt Ernst August 16, 2012 Comment Now! There’s plenty to like about Jaguar’s range-topping XJ sedan, available in both standard and long wheelbase variants, and the changes to the model lineup for 2013 are aimed at improving sales without compromising the XJ ownership experience. The biggest change for 2013 is the addition of the supercharged 3.0-liter V-6 to the product line. 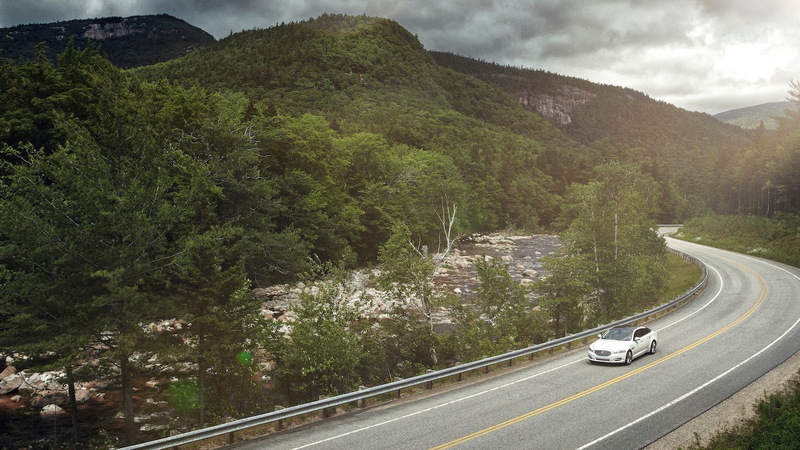 The new engine, which replaces the outgoing normally-aspirated V-8 used in 2012 and earlier XJ base models, produces 340 horsepower and 332 pound-feet of torque, while returning up to 18 mpg in the city and 28 mpg on the highway. 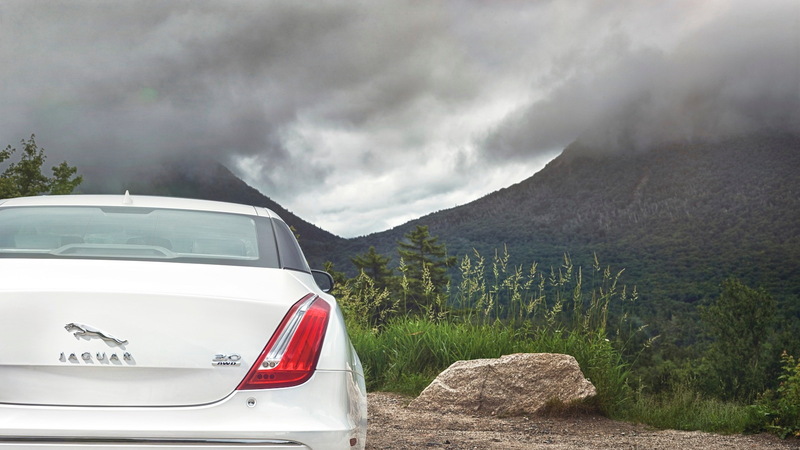 The normally-aspirated 5.0-liter V-8 is still the base engine on rear-wheel-drive, long wheelbase XJL Portfolio models, which is the only configuration still offering this engine for the 2013 model year. XJ Supercharged and XJ Supersport models return with the same supercharged 5.0-liter V-8 as last year, and we say that’s a good thing. In Supercharged variants, the engine is rated at 470 horsepower and 424 pound-feet of torque, while Supersport models get a boost in output to 510 horsepower and 461 pound-feet of torque. New for 2013 is a Speed Pack option for XJ Supercharged and XJ Supersport models, which includes exterior aero enhancements, interior trim upgrades and a top speed increase from 155 mph to 174 mph. 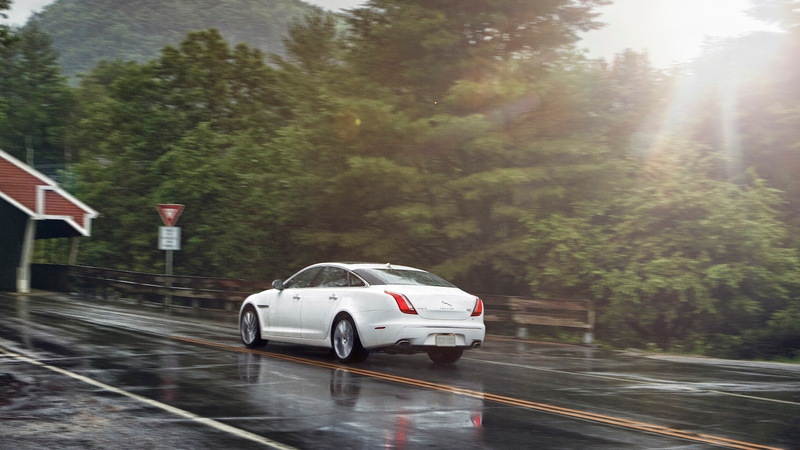 Power for XJL Ultimate models comes exclusively from the supercharged 5.0-liter V-8, rated at 510 horsepower. The real upgrades are inside the cabin, where rear-seat occupants get private-jet-quality seating, complete with semi-aniline leather upholstery, ventilation, variable lumbar support and massage functions. Splitting the rear seats is a leather-wrapped center console that contains a solid aluminum table and a beverage chiller. Of course there are Jaguar-branded champagne flutes, too, each held in place by a machined aluminum clasp. As you’d expect, interior trim includes real wood veneers, piano black, brushed aluminum and spin-finished brightwork. 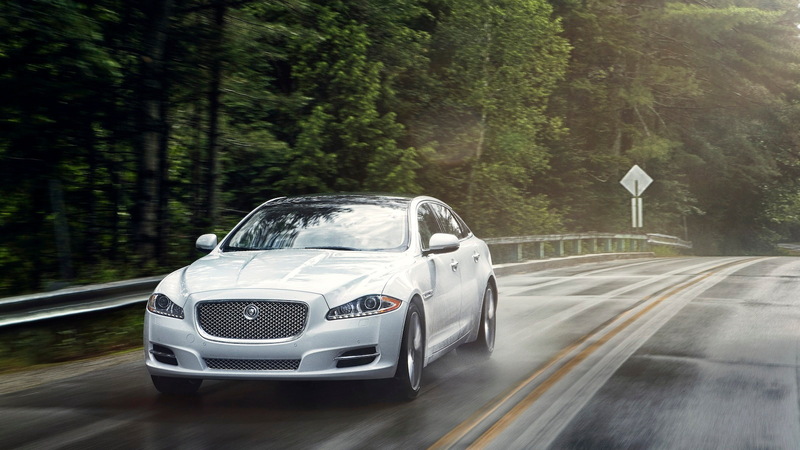 Like Jaguar's XF range, all XJ models get a new ZF eight-speed automatic transmission for 2013. An auto start stop system is now standard on all XJ models, which further benefit from an improved navigation and infotainment system, as well as available Meridian audio systems. 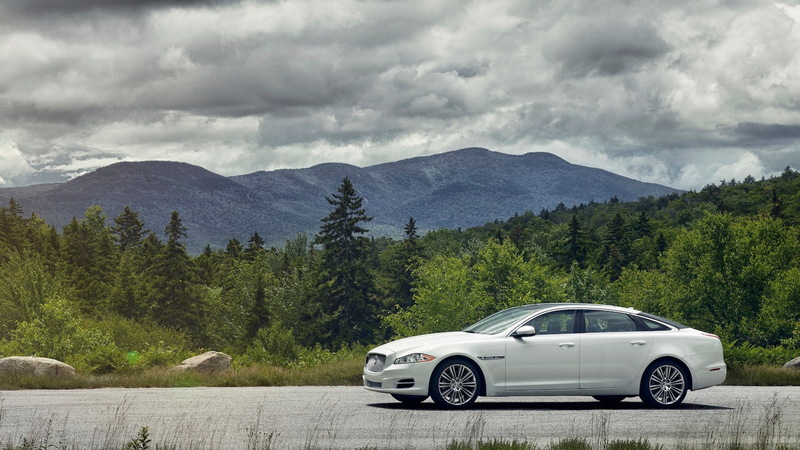 Prices for the 2013 Jaguar XJ series begin at $74,074 for the base XJ and top out at $155,975 for the XJL Ultimate (or at $119,975 for the XJL Supersport, should the Ultimate be sold out). V-8-powered Kia Stinger in the works?